At Eurobike 2017 (world’s largest bicycle trade show in Friederichshaven), the range and quality of cargobikes was impressive. Cargobike.Jetzt has tried to capture most of the new models in this rich gallery, but rues the inability of the fair organisers to put the sector in evidence, in spite of clear media interest. The article also points to another lost opportunity: the Fair failed to press the point that bicycles in general and cargobikes in particular have a key central role to play in transport strategies, especially with heightened public sensitivity to air pollution, the diesel scandal, obesity and public health. The German Government has so far refused to extend scrappage subsidies to buyers of e-cargobikes. Only a few German cities are offering subsidies, the notable example being Munich, with a generous and very popular scheme. David Hembrow has recently written that the Dutch Government is no better, providing subsidies to buyers of foreign electric cars (with dubious environmental benefits) and refusing to subsidise buyers of Dutch cargobikes and velomobiles. have asked all political parties their propensity to support subsidies for cargobikes. The results, presented in their report: “Bicycle Policy and electric mobility” are mildly encouraging. Only neoliberal FDP is against e-cargobikes subsidies. The CDU and SPD are in favour of aiding commercial enterprises involved in city logistics and large public organisations, to adopt e-cargobikes, but are not yet willing to commit to a country-wide consumer subsidy scheme. Die Linke and the Greens, on the other hand, are in favour of a subsidy scheme, typically 25% of the value of the cargobike. There is an outside chance that one or both of these parties will enter the ruling coalition after the election later this month. 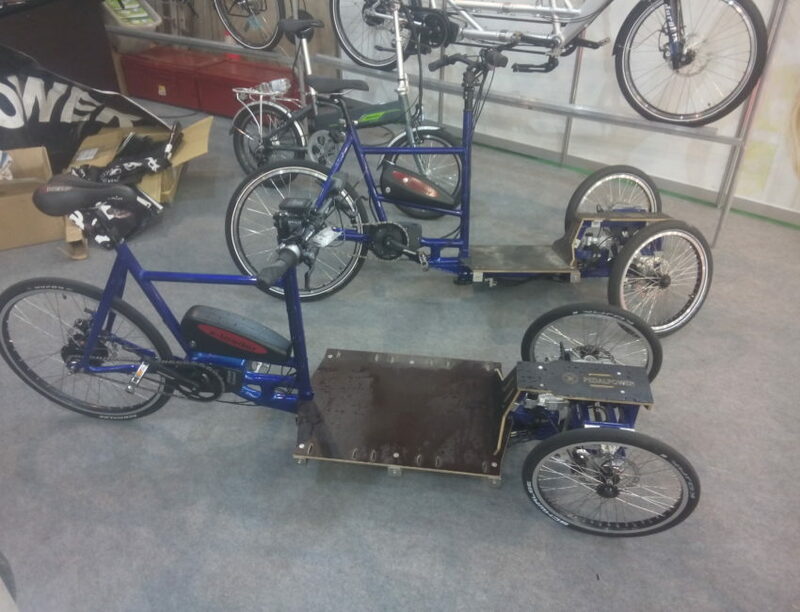 This author has hired cargobikes to political parties in London, who have registered 100% success. For Martin Schultz to have a good election day, he would have to adopt the SPD-bike on a large scale. Do American courier companies understand cargobikes?